Do you feel as if you have to force yourself out of bed every weekday? Do you get the Sunday night blues just thinking about going to work on Monday? Do you find yourself counting down the days until the next Bank Holiday? If the answer is yes to any of the above, then it’s safe to say you’ve fallen out of love with your job. Don’t worry, it happens to the best of us, but there are things you can do to rectify the situation. 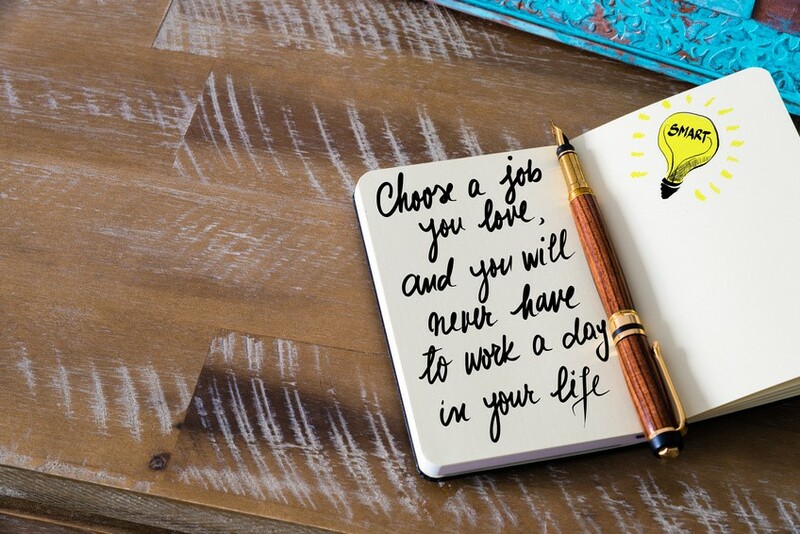 Here are our tips for learning to love the job you’re in! Your mates may boast about how great their job is and how much they love it, but it’s a guarantee they don’t feel like this every day. Everyone has bad periods during their job, whether down to increasing workloads, a difficult customer you don’t like or your favourite co-worker has just left. These periods will probably pass – if they don’t, then it’s time to start looking elsewhere. When listening to others talk about their jobs, remember to take everything they say with a pinch of salt. Everyone likes to boast a little about their job and their achievements, and some may not be prepared to admit they aren’t 100% happy. Evaluate what you don’t like about your job – can you fix these problems? Sit down and make a list about what you do and don’t like about your job. Are there things on the ‘don’t’ side that you could fix? For example, if a fellow co-worker is making it difficult for you to do your job, you should raise this with them, so you can both come to a solution. If you don’t think you’re getting paid enough, ask for a pay review. If your job has become far too stressful, ask your manager for help. You’ll be surprised at just how much you can change and the impact this will have on your current role. Whatever it is you love about your job, whether it’s the people, flexible working hours or opportunity for progression, you need to focus on these aspects. It’s all too easy to get bogged down in the negatives, which can make your job seem worse than it is. Think about what you achieve every day, too. You may not get recognition from the company, but there’s nothing wrong with giving yourself a pat on the back. Remind yourself that you did something good today – it will help build up your confidence if you decide to apply for other roles elsewhere. Who knows – a sunny disposition and a can-do attitude may just get your recognised for that upcoming promotion opportunity. You may realise it’s the role you dislike, not the company! Sometimes, all you need is a reminder that you’re not trapped in your current job and there are other options available. Apply for a few jobs and attend interviews – you may realise just how lucky you are to work at your existing company, or you could see that the grass really is greener and choose to move on. The point is, there’s no harm in looking, and it will give you the confidence that your skills and experience are transferable. Most people have to endure a few jobs they don’t like until they find ‘the one’. However, this time is never wasted, as you’ll learn things that will help your secure that future dream job. If you always have an end goal in mind, you’ll be motivated to enjoy your current job as much as possible, and make the most out of the experiences it affords you. I still don’t love my job – what now? If none of the above helps you love your job, then it may be time to move on. Don’t feel pressured to stick in the same industry either – have you considered a career in property, for example? We have guides that can help you learn more about what it’s like to be a property manager, estate agent and branch administrator. Your employer may offer you a counter offer if you decide to leave your existing company. Our ‘Should I stay or should I go?’ guide will enable you to decide which option is best for you. So, if you think it’s time for a new career, check out our vacancies today.